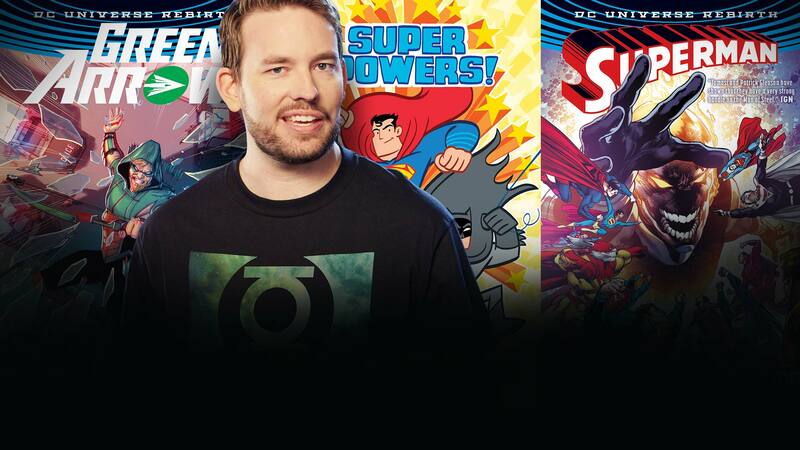 “Jason’s Picks” is a monthly column written by DC All Access co-host Jason Inman. A longtime DC reader, Jason selects a few newly released or essential graphic novels each month that are personal favorites of his and discusses why you need them in your collection. We have now moved past the giant event that is San Diego Comic-Con, but that doesn’t mean that the comic goodness of the year is done. An emerald archer, a last son and some super friends are here with my choices for the best DC graphic novels that you should pick up in August. Green Arrow has always been a social justice warrior. Throughout the ’70s and ’80s, Oliver Queen punched a lot of rich fat cats in the face. With Emerald Outlaw, Oliver begins to wear a bit more of his social leanings on his sleeve, while his entire life crashes down around him. This Rebirth collection follows an Oliver Queen who has lost almost everything, and his only true ally is his bow. For a longtime Green Arrow fan like myself, this is the point where Oliver truly shines—when he’s all by himself. Green Arrow’s presence now affects all of Seattle. There’s a great little sequence where a news reporter asks the city about their thoughts on the emerald hero that is worth the price of this book alone. Have you ever been reading a Superman book and wished to yourself, “I wish this book had more Superman?” Well, Multiplicity is the arc for you. This volume has deep connections into the DC Multiverse with threads that connect directly to Grant Morrison’s amazing MULTIVERSITY. Why settle for one Superman when we can enjoy a cast of infinite Supermen? Superman Vol. 3 continues the excellent run by Pete Tomasi and Patrick Gleason. Their strong handle on the Man of Steel and his relationship with his son is one of the reasons I keep recommending every volume of this book. Multiplicity throws several more versions of Superman into the mix, making this volume a must read for any Superman fan like myself. Not only that, but this story has the very first meeting of Kenan Kong (New Super-Man) and Clark Kent! Multiplicity could be considered the zaniest Superman story of all time. Our Superman has to remain the calm force to overcome the incredible odds faced by the other Supermen. That’s what makes him one of the best heroes in the DC Universe and the DC Multiverse. Plus, did I mention Multiversity Easter eggs? There are tons of them! What are you waiting for? Before you dismiss this book as a comic for children, hear me out. It’s my argument that all comics should be for kids, and sometimes comics aimed specifically for children break out of that label and prove themselves as magnificent. This is one of those comics. The team of Art Baltazar and Franco, who created the amazing SUPERMAN FAMILY ADVENTURES as well, return with a new series that lets them play with the entire DC lineup. This book immediately subverts expectations by showing us a scene with Commissioner Gordon waiting for Batman. But who shows up? Superman does, starting this book off with a scene that is immediately genuine and funny. Every page of this volume is irreverent, cartoony and fun. If you’re willing to look at your Justice League heroes in a different light, then this book is for you. The amount of Easter eggs and references on each page will astonish you. Kids and adults will enjoy this book that carries with it a wink of nostalgia and irony—a flavor that should exist in every comic. Also, you haven’t lived until you see how Super Powers portrays Darkseid. It’s pure bottled hilarity. So that’s it! Those are my DC graphic novel picks for August! Dive deep into the DC Multiverse of comics and you might just discover some joys of sequential art! Fire your grapple arrow and slide on down to your local comic book shop and get to reading! Thanks for reading, super friends, I’ll see you next month with more picks. Jason's Picks: Titans Times Three!